Inspired by a grouping of old Russian villages, the Golden Ring Egg symbolises the remarkable places of historical and cultural interest which still survive in Russia today. 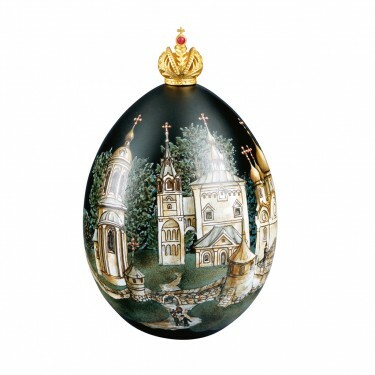 The jet black crystal Egg is hand painted with enamels. The wall of the village surrounds the Egg, giving security within. 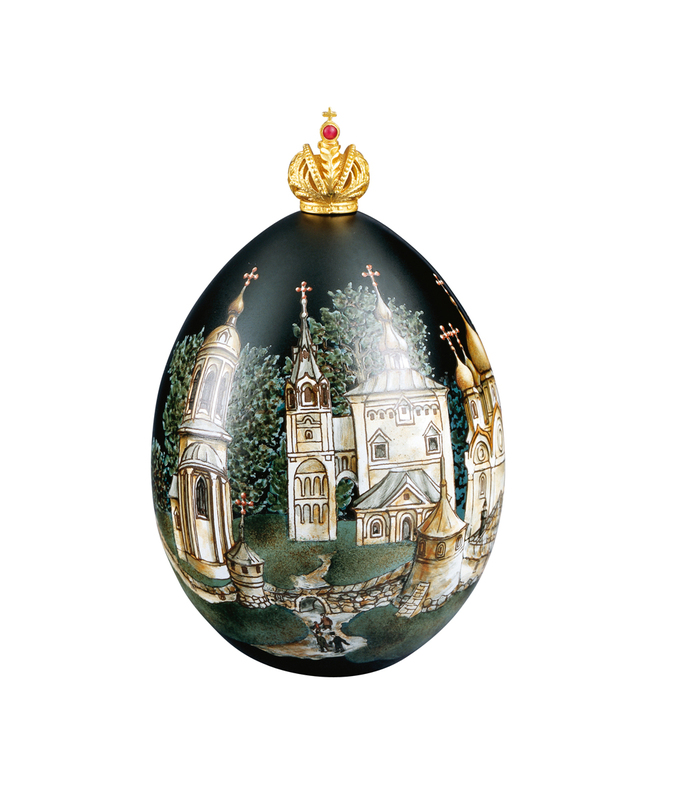 The Egg is surmounted with the Imperial Russian Crown in vermeil with a cabochon ruby. Materials: Crystal, cabochon ruby and vermeil.